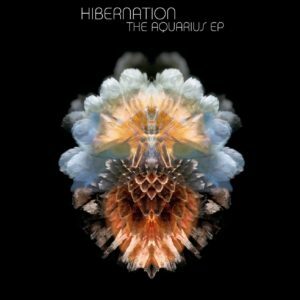 HIBERNATION (Live) Hibernation is Seb Taylors outlet for Glitchy experimental chilled Electronica. The first Hibernation album, Some Things Never Change, was released on respected label Aleph Zero in 2008. At this point Seb had released a number of Kaya Project albums to great acclaim and gained a loyal following among downtempo aficionados. With many different projects to his name Seb likes to keep them stylistically distinct and Hibernation is devoted to a more electronic realm than Kaya Project, which features live instrumentation from around the world. Hibernation, as the name suggests, heads inwards and locks onto micro edits, quirky samples, glitches and hyper-fine details. Second Nature is the newest album and was released on Interchill Records in 2012. On this album, Natasha Chamberlain contributes some dreamy vocal flourishes to a number of tunes and Seb also turned to the capable Riad Abji and Vicky Flint for stand up bass and muted trumpet in the signature tune Uncarved Block. With a distinct sonic palette that includes stand up bass, muted trumpet, brush drums, glitches, whomps and warm subs the Hibernation sound is crucial listening. Seb brings a lifetime of musical experience to his production, composition and arrangements, and it shows. Listening to Second Nature conjures up future memories of dark smoky jazz clubs, Bladerunner cityscapes, parallel universes, dreams half forgotten and epic nights. This is music with spirit, narrative and detail.